Vehicle emissions are one of the biggest contributors to greenhouse gases, and they also contain noxious fumes that have been linked to asthma and other respiratory problems. 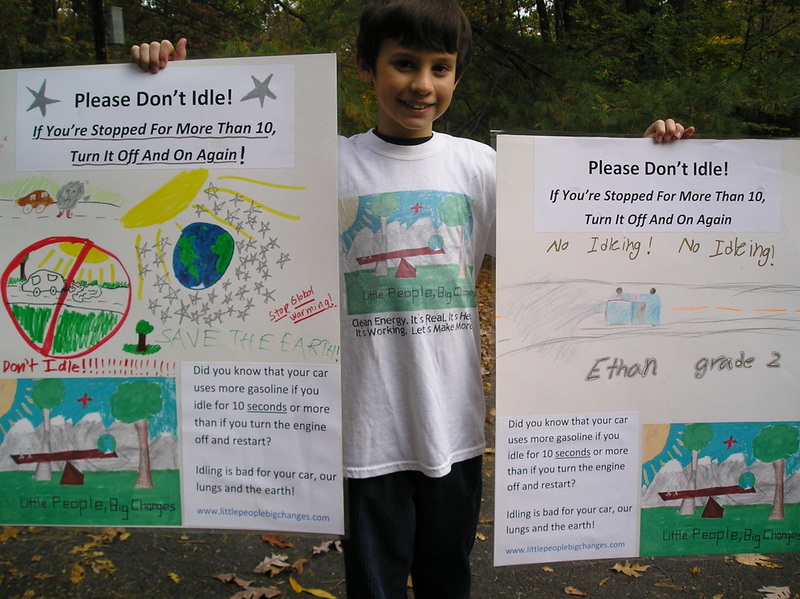 When you idle your car -- while you're waiting around for someone or just hanging out -- your car engine only partially burns its gasoline, so idling is unhealthy for our lungs and for our vehicles..
We put our persuasive and artistic skills to work by making posters encouraging drivers to turn their engines off if they're stopped for more than 10 seconds. It uses less gasoline to turn your engine off and restart than it does to idle your vehicle if you're stopped for more than 10 seconds. So, save gasoline -- and money -- while keeping our air cleaner. If you're stopped for more than 10 [seconds], turn it off and on again! That became our mantra for a few years. And it's surprisingly persuasive when it comes from a child, even though we weren't the ones driving at the time. 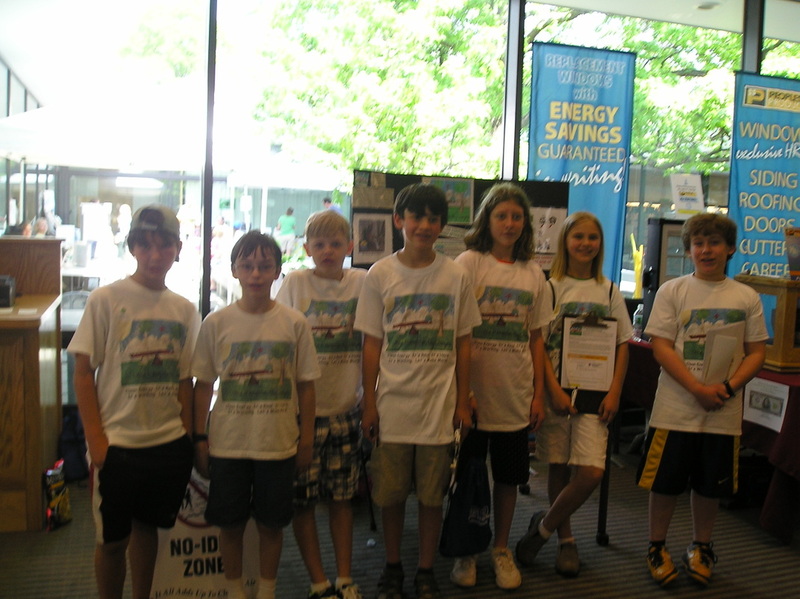 We gathered friends at our local library, brought poster boards and markers, and had a discussion about climate change and how we could do our part by encouraging drivers to not idle their engines. Want to have your own poster-making session? Click the button to the left to download a copy of the LPBC logo and the poster titles. 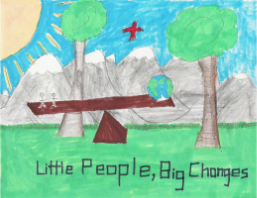 Then draw your own artwork to reflect your thoughts about why it's so important to keep our atmosphere clean. In our community, and in most of Connecticut, we have the option to enroll in the CT Clean Energy Options program. That means that our electric supplier -- Eversource or United Illuminating, in our case -- purchases Northeast generated wind power and a bit of Northeast solar to supply the electric grid with our household's electricity usage. That displaces the oil, coal, and nuclear power used by conventional suppliers to the electric grid. It costs a little more than one cent more for ever kilowatt hour we use each month, but we also conserve energy to keep our electric bills low. We still get our bills and service from Eversource, so nothing changes except the source of the electric power. Sign Up For Clean Energy Now! Every year in early May, our town sponsors an awesome Go-Green Festival with electric Tesla cars, healthy foods, rehabilitated wildlife and sustainable artwork. 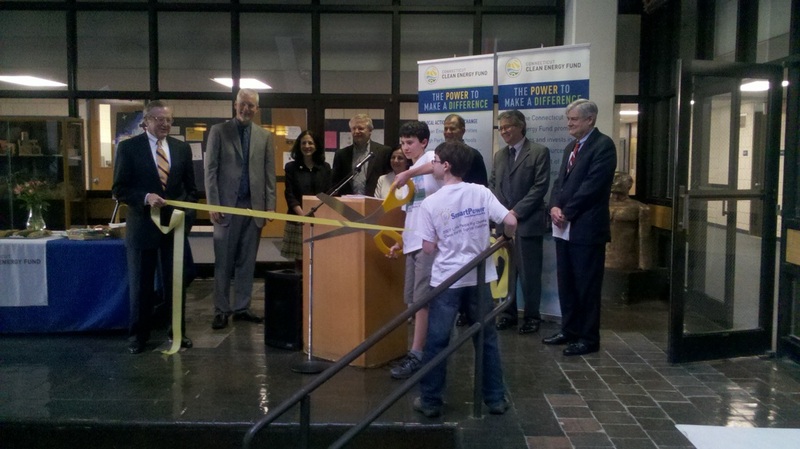 We comb the crowds to encourage signups for the CT Clean Energy Options program. Thanks to the CT Clean Energy Communities campaign, for every 100 households we signed up for clean energy, we earned a free solar panel for our town. Here we are with some of our town leaders and state representatives as well as teachers and administrators at our high school celebrating the ribbon-cutting after installation of the solar panels on the high school. With computer links to monitor production of energy, this is an educational opportunity in addition to a conservation tool. We're students at the high school now, so it's cool to know that we contributed to our town's ability to save money and generate some electricity from a renewable source -- sunlight! Eating whole foods like vegetables and fruits is healthy for you as well as the earth. The less processed food we consume, the less packaging, refrigeration and transportation is required to get our food. That's good for our bodies and our planet. When you eat healthy foods, you're not only helping your own body and mind function optimally by providing necessary nutrients for your cells to grow and function properly. You're also helping our planet by using fewer resources to process, package and transport the food you eat. Think about that at each meal.